EASY-TO- HANG SUCTION HOOK: A must have for you konjac sponge! Perfect for hanging in a well-ventilated space so it's dry and ready for you to use the following day. 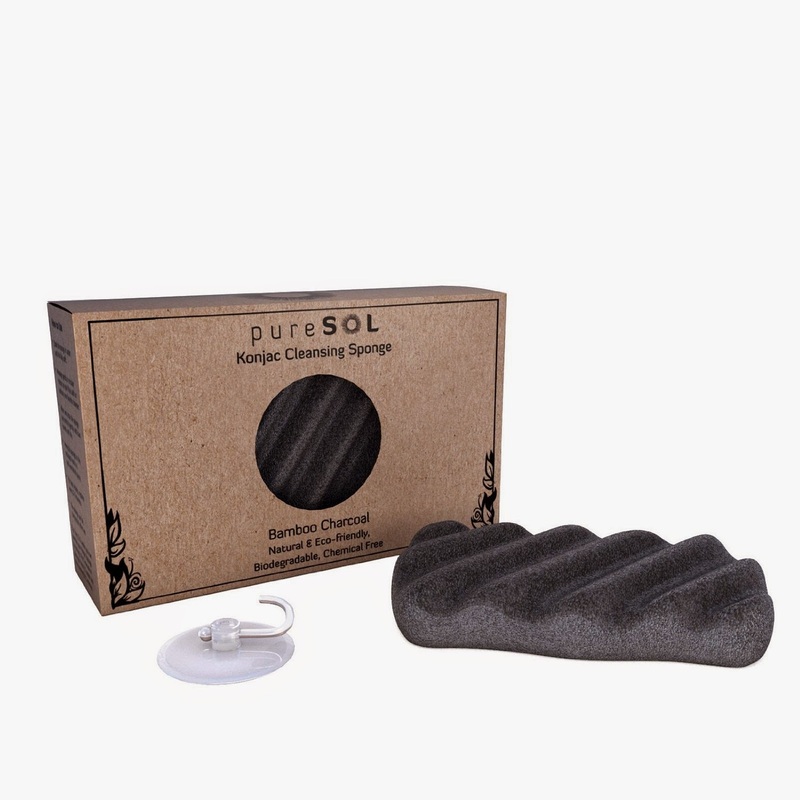 No more searching for something to hang your pureSOL Konjac Sponge on! The Konjac sponge arrived in a box and the sponge was sealed in plastic keeping it nice and clean. Inside the box also contained a suction cup hook to apply to your bathroom mirror to allow the sponge to dry which is very helpful. The sponge was hard but quickly softened under warm water. I used it with a little face wash and it foamed up nicely and worked well to clean all the makeup off my face. I liked the texture of the sponge because it felt silky smooth on my face even without soap. I have noticed my pores becoming smaller and my skin looks healthier. I love that this sponge is all natural and Eco friendly. I think it works great and I love that it hardens back up when it dries but softens again and again. It is a very neat product! 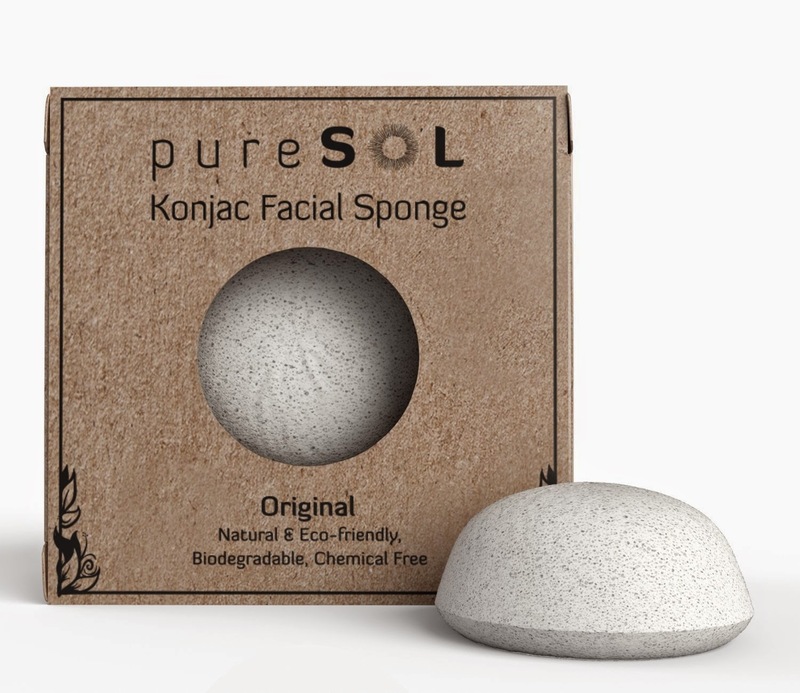 IMPROVES SKIN TEXTURE: pureSOL Konjac Facial Sponge gently exfoliates while deep cleansing and removing any toxins and impurities, leaving you with a radiant complexion. It is extremely soft and gentle for everyday skin care. Great for extra sensitive skin including babies! REMOVES TOXINS AND IMPURITIES: You will see your pores getting smaller, tightening and brightening your skin. The natural konjac fibers massage away impurities and toxins in your skin. The Konjac sponge arrived in a box and the sponge was sealed in plastic keeping it nice and clean. Inside the box also contained a suction cup hook to apply to your bathroom mirror to allow the sponge to dry which is very helpful. The sponge was hard but quickly softened under warm water. I used it with a little face wash and it foamed up nicely and worked very well to clean all the makeup off my face. I liked the texture of the sponge because it felt silky smooth on my face even without soap. I have noticed my skin looks healthier and it hasn't caused my skin any irritation. I love that this sponge is all natural and Eco friendly. I think it works great and I love that it hardens back up when it dries but softens again and again. It is a very neat product! REDUCES SIGNS OF AGING: The added TURMERIC is an excellent exfoliating agent and can help reduce the signs of aging such as dark spots and wrinkles. It is also know for it's antiseptic properties. Perfect for mature skin. The Konjac sponge arrived in a box and the sponge was sealed in plastic keeping it nice and clean. Inside the box also contained a suction cup hook to apply to your bathroom mirror to allow the sponge to dry which is very helpful. The sponge was hard but quickly softened under warm water. I used it with a little face wash and it foamed up nicely and worked very well to clean all the makeup off my face. I liked the texture of the sponge because it felt silky smooth on my face even without soap. I have noticed my skin looks younger and healthier. I love that this sponge is all natural and Eco friendly. I think it works great and I love that it hardens back up when it dries but softens again and again. It is a very neat product! 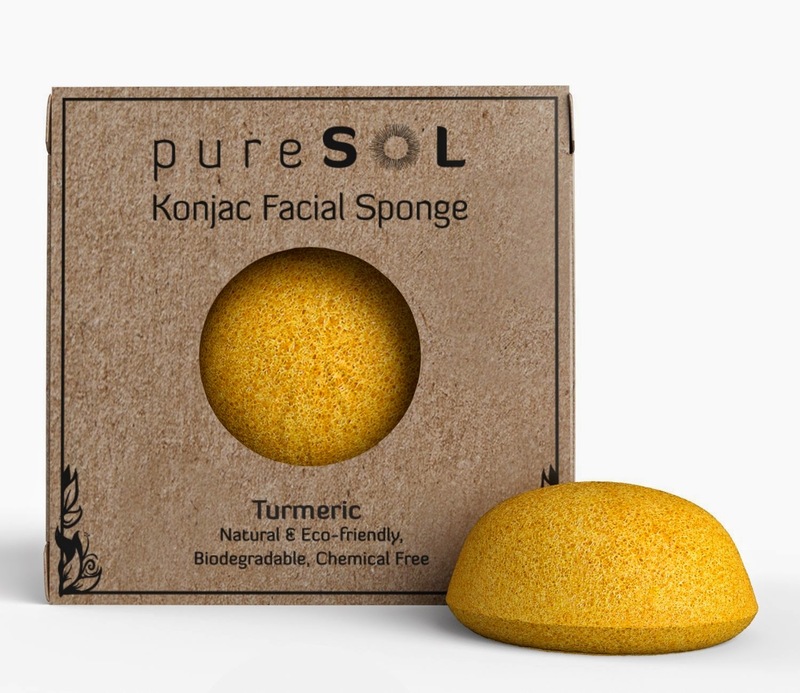 IMPROVES SKIN TEXTURE: pureSOL Konjac Body Sponge gently exfoliates while deep cleansing and removing any toxins and impurities, leaving you with a radiant skin. It is extremely soft and gentle for everyday use. 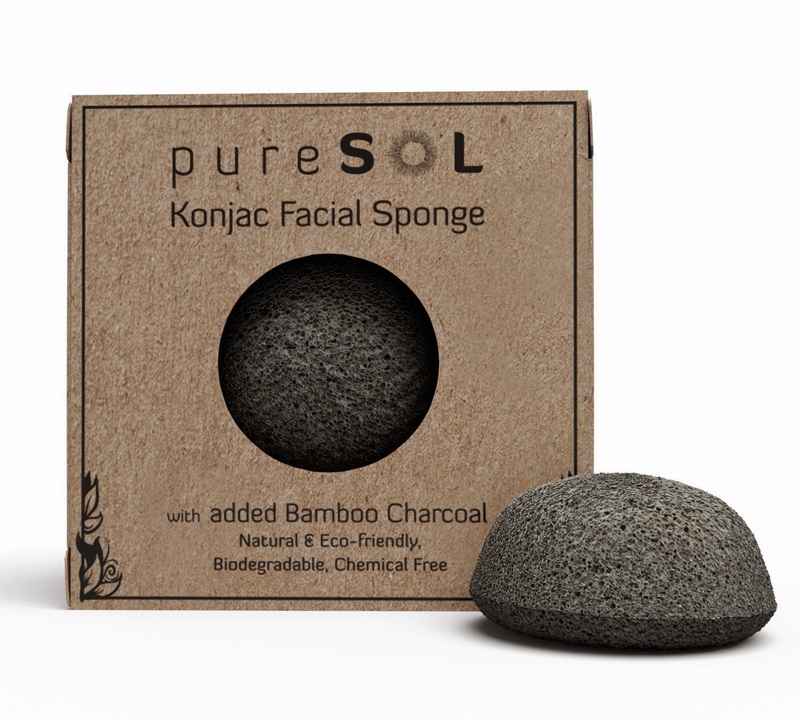 REMOVES TOXINS AND IMPURITIES: Konjac Sponges deeply cleanse your skin and the natural konjac fibers will massage away impurities and toxins in your skin. The Konjac sponge arrived in a box and the sponge was sealed in plastic keeping it nice and clean. Inside the box also contained a suction cup hook to apply to your shower door or wall to allow the sponge to dry which is very helpful. The sponge was hard but quickly softened under warm water. I used it with a little body wash and it foamed up nicely and worked very well to clean my body. I liked the texture of the sponge because it felt silky smooth even without soap. I have noticed my skin looks healthier and feels more moisturized. I love that this sponge is all natural and Eco friendly. I think it works great and I love that it hardens back up when it dries but softens again and again. It is a very neat product!